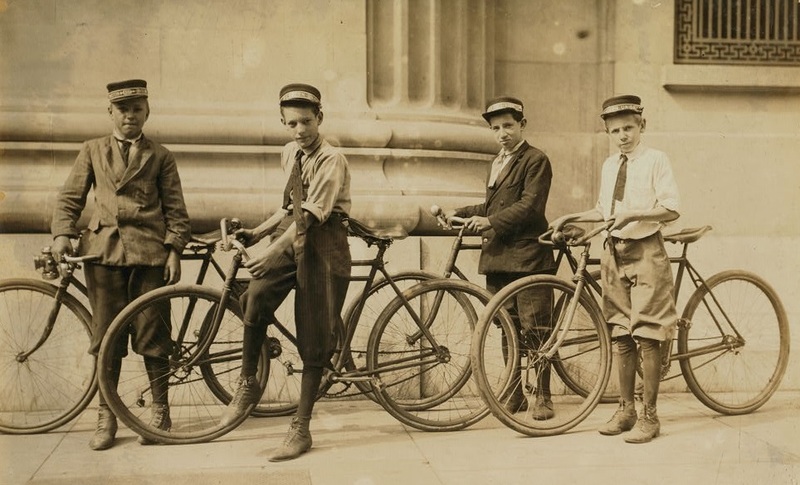 A group of Western Union messenger boys in Norfolk, Virginia, June 1911. Photograph by Lewis Wickes Hine (1874–1940). Working as an investigative photographer for the National Child Labor Committee, Hine documented working and living conditions of children in the United States between 1908 and 1924. Courtesy of Library of Congress Prints and Photographs Division. As a teenager, Nathan Weinstein spent school vacations at Camp Paradox, a Jewish summer camp in the Adirondacks. The camp placed a strong emphasis on sports and games and, like many bookish adolescents, Nathan was unable to measure up to the prowess of his peers—particularly that of his athletic cousins. When the boys climbed nearby Mount Marcy, Nathan spent the entire following day asleep in bed, which earned him the nickname “Pep.” He did find some pleasure working on the camp magazine, for which he eventually served as art editor and satirized camp activities in sketches and cartoons, signing them Nathan “Pep” Weinstein. 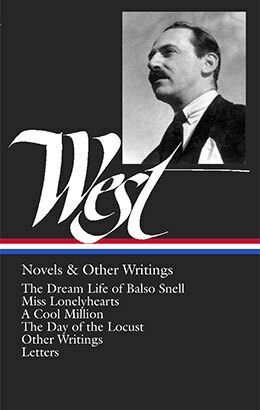 West completed “Western Union Boy” sometime in the early 1930s, while he was working on his novel Miss Lonelyhearts, but—like his other stories written at the time—he was unable to sell it. It was never published during his lifetime, and the story appears in the Library of America edition of his collected works. We are pleased to present it here exclusively—for a limited time—as our Story of the Week selection. Note: The Traction Interests, mentioned at the end of the story, was a term often used for the trolley and bus companies and mass transit authorities, which in the early twentieth century were often assailed in the press for corruption and strong-arm tactics. If you're not very busy, a grown man in the uniform of a Western Union boy should make you feel a little sick. . . . This story is no longer available. Read other recent selections from Story of the Week.